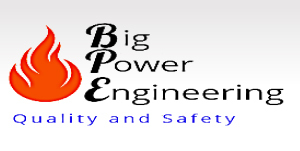 Big Power Engineering Sdn Bhd is a company that provides gas piping installation service. Our main office is located in Klang, Selangor, Malaysia. We specialise in installation of LPG bulk tank, LPG manifold/LPG piping, LPG underground bulk tank, natural gas piping, gas detection system, cathodic protection system, maintenance servicing, vapouriser, etc. Shall you have any further enquiries, please feel free to contact us.